Will WhatsApp Payments disrupt the digital payments market? Digital payments in India, already witnessing unprecedented activity since the government's surprise demonetisation announcement in 2016, is likely to take a great leap forward with the entry of WhatsApp Payments. Digital payments in India, already witnessing unprecedented activity since the government's surprise demonetisation announcement in 2016, is likely to take a great leap forward with the entry of WhatsApp Payments. "Digital payments [in India] currently aggregate less than $200 billion, of which mobile is still at just $10 billion in financial year 2018 (estimated)," investment banking firm Credit Suisse said in a recent report, adding, "Payment integration into popular apps in India will drive the digital payment market in India to $1 trillion over the next five years. Digital payments in India are soaring on the back of the entry of global tech giants that are acting as aggregators for retail transactions." Within four months of its launch Google Tez is already processing the same number of digital transactions as the country's fourth largest lender, Axis Bank, and has resulted in unified payment interface (UPI) transactions increasing about eight times. So with WhatsApp, India's most popular application, now integrating a payments button, digital payments is sure to further explode. The new WhatsApp Payments feature, which allows users to send and receive money, has started rolling out widely to Android users following a beta release earlier this month. And India is among the first markets to get the new service. The payment feature has been built using India's Unified Payment Interface (UPI), currently offered by 71 banks and hence encompassing almost every person with a bank account in India. To remind you, UPI is a real-time payments system that enables digital transactions between banks without the need to input NFSC code and other bank account details. All users need to do is make sure that their mobile number is linked to their bank account(s). Although WhatsApp Payments started with ICICI Bank, several banks like Axis Bank, HDFC Bank, ICICI Bank, State Bank of India and Yes Bank have since been included, and more may get included in the weeks to come. The biggest advantage WhatsApp enjoys, even before it gets going, is its ready user base, significantly including a huge number of first-generation internet users. As PwC noted in one of its insight papers, in a low margin business like payments, where each individual transaction yields little as profits, the ability to generate high transaction volumes assumes great importance. WhatsApp being the most popular messaging platform today enjoys over 250 million monthly active users. In comparison, market leader Paytm's user base is reportedly around 310 million. Cause enough for its CEO Vijay Shekhar Sharma to get worried. Incidentally, its sheer numbers also posed a challenge in a way. 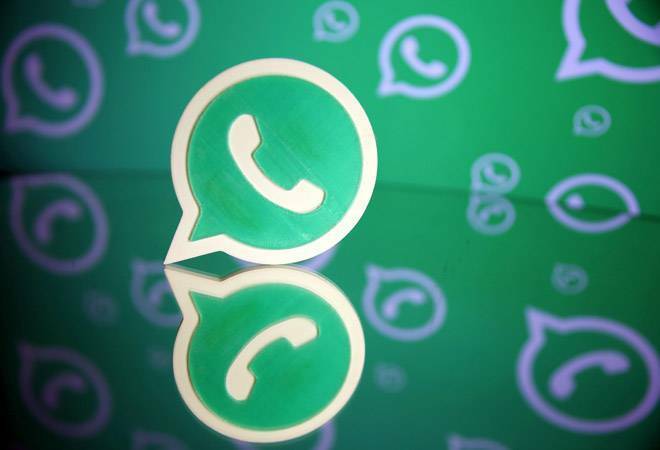 According to sources cited by The Economic Times, the National Payments Corp of India (NPCI), which manages the UPI protocol, did not allowed a full-scale launch of WhatsApp Payments because of its large user base. It instead preferred a phased rollout to allow time for both the app and bank platforms to adjust to a sudden spike in volumes. Moreover, with pretty much everyone with a smartphone in India already on WhatsApp, convenience becomes another major advantage for its payments feature. Transferring money to contacts becomes terrifically simple and quick as you can perform the action from within the messaging service-just ensure that you are using the latest version (2.18.46) of WhatsApp-without the need to download another app or even open multiple windows on your phone. All you have to do is tap on the attachment button in any open chat and then hit on the payment button. No wonder Amrish Rau, CEO of payments company PayU India, was prompted to tweet, "Just tried WhatsApp Payments, got reminded what great user experience is all about." Given the above, just think what WhatsApp Payments could do for digital financial inclusion. If you can't imagine the potential then take your cues from Tencent's WeChat, a leading Chinese messaging app that launched WeChat Pay in 2013 and paved the way for a rise in person-to-person (P2P) transfers. According to Credit Suisse, the surge in digital payments in China was triggered by its integration into e-commerce and social platforms, which leapfrogged to over $5 trillion in the past four years and now boasts a 95% market share. So if Facebook, which owns WhatsApp, plays its cards right, it could end up similarly transforming India's digital payments landscape. It's certainly not going to be easy. Apart from Google Tez, WhatsApp Payments will be directly competing against the likes of Paytm and Mobikwik, both established players in the e-wallets game offering a lot more services than simply sending and receiving money, like bill payments and enabling transactions with merchants and businesses. For users who rely more on digital transactions for various purposes, WhatsApp Payments in its current form will not be enough. Then there is the big question of fraudulent transactions on WhatsApp. The messaging service has been a haven for spam letters and the payments feature could now enable fraudulent transactions by duping uninformed users. If WhatsApp can address these issues, it might end up disrupting the market a second time round.